Domain Hunter Gatherer is arguably one of the most popular tools when it comes to finding aged and quality domains which already has amazing backlink profiles with ready to use targeted traffic. Finding a decent aged domain can be time-consuming and difficult depending on the depth of your research. Domain Hunter Gatherer makes your life easier by automating the process. It helps you narrow down your research by helping you find the domains that are most relevant to you through their system. All you need to do is provide a keyword and with a click of a button, you get a list of domains which you can compare based on price and ratings. When an “aged” domain is brought into a conversation, most people think about expired domains. However, with this software that is not the case, Domain Hunter Gatherer is a very powerful tool and is not limited to just finding expired domains. You can also use it to find web 2.0 accounts and streamline all domain auctions into one dashboard where you can see available domains for sale. Reusing well aged and expired domains has been one of the legitimate ways to boost your dominance over the competition quickly as it gives you an edge by providing you with resources you can customize and work on. You can use it to build a fresh authority site and get past your competitors quickly. Think of it as buying a saved game and continuing the progress with all the boosts and power-ups already at your disposal. At the same time, you can also use it to build a mighty private blog network which you can utilize for any purpose you would like. Another good thing about using aged domains is that you get to acquire the asset at the price of a brand new domain. With a tool such as Domain Hunter Gatherer (DHG) at your side, you get to easily find the best domain you can possibly get and harness the power of using a quality aged domain. DHG has multiple features which make finding aged domains easier. It provides key metrics and an easy to use interface along with multiple tools to guarantee that you get access to well aged and high-quality domains. These features help you run everything on auto-pilot. Here are the top key features of DHG. 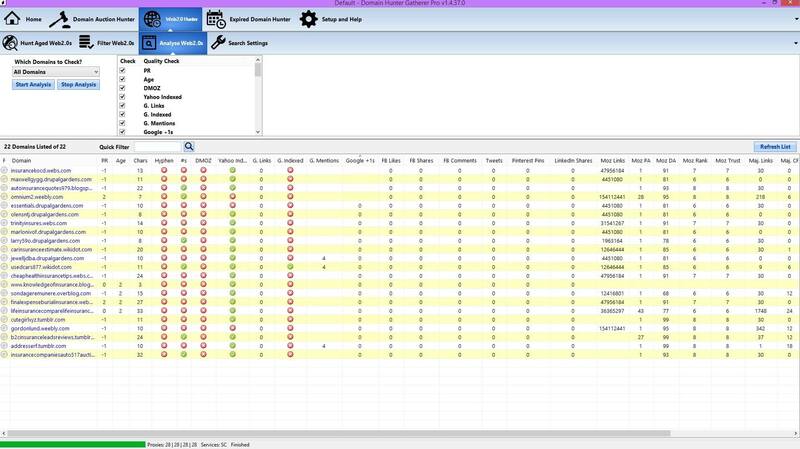 DHG allows you to streamline the entire process of hunting domains through a single dashboard. It has a user-friendly and optimistic user interface which is easy to use. Here is a little preview of what the interface offers. 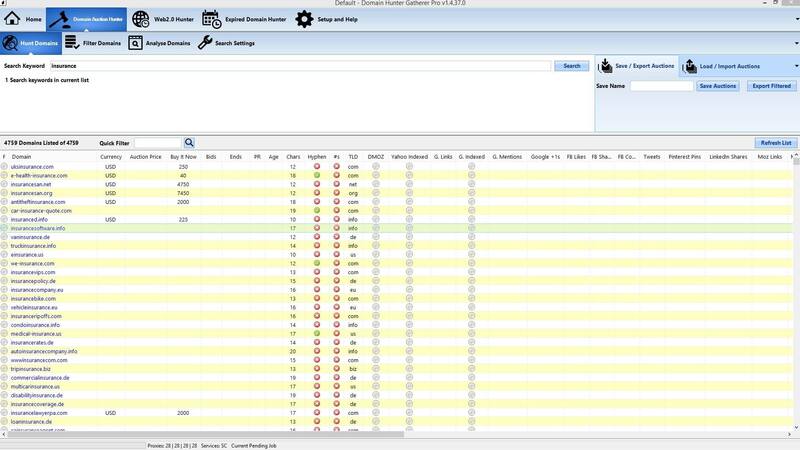 The interface contains a domain filtering option which allows you to easily filter the domains with multiple metrics. These filters can be saved and loaded so that you can easily use them again in another time. You can compare the domains with one another to find what you really want via the domains comparison. At the same time, you can analyze the domains which resulted from your research for metrics such as price, age and more through the domains quality check. Need to use the domains you found for further analysis on another date? No problem! The interface allows you to export and import domains. This means you can save the domains you find and easily load them up again whenever you need to. DHG lets you run multiple threads simultaneously so you do not have to wait for long periods of time before you can analyze domains which resulted from your research. This tool comes free with DHG and you have unlimited access to it. This tool comes along with all three plans. Basically, this tool lets you streamline the domain hunting process from auction sites. It filters domains on multiple metrics and lets you load and save your list. There are multiple domain auction sites online and it will take you a long period of time to cover each one of them. If done manually the process can become very repetitive, redundant and time-consuming. With the domain auction hunter tool, you can easily find the best deals throughout the entire internet through one dashboard. You can also modify the search settings and get even more specific with your search by checking or unchecking which domain trading sites DHG should search from. Just by simply typing in a keyword, DHG’s domain auction hunter will search all the domain auction sites and give you multiple results in one query. It will display and provide you with all the domains for sale from the major auction sites related from the keyword you have searched for. Within the dashboard, you can easily check the quality of all the domains which resulted from your keyword and compare them with each other to find the best ones. This amazing tool is available in the premium and professional plan. Basically, this tool lets you gather a huge list of Web 2.0 and blogging platforms and shows you which accounts are available for acquisition. Links from high authority Web 2.0 sites have a huge effect on ranking. Those who have been in this game for some time know that it is a powerful tool to own accounts which have a solid backlink profile and strong social media signals. With the Web 2.0 hunter, you can automate the process of finding accounts which you can buy and use to your advantage. All you need to do is input a keyword in the search bar and let DHG work it’s magic as it shows you multiple accounts available in no time. The results come with key metrics so you can easily compare which ones have the most value to you. This tool comes with the Analyze Web 2.0 tab which gives you the option to check the quality of the domains within a single click of your mouse. It shows you metrics and analysis including status checks if it is indexed in search engines and much more. 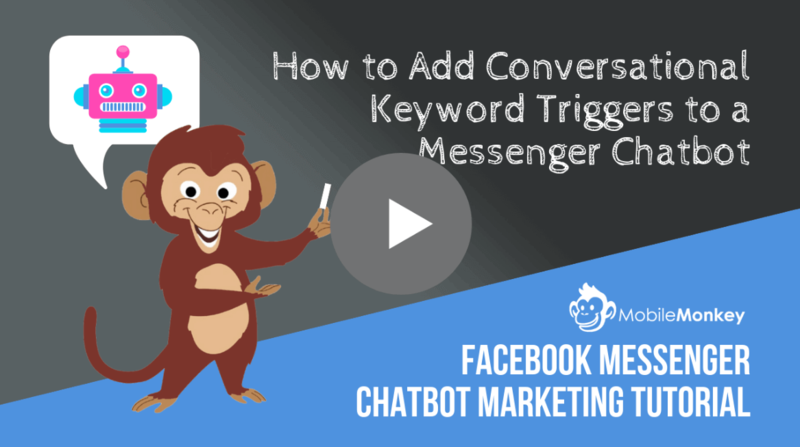 It even shows you all the social media interactions and signals that come with the domain including facebook likes, tweets and more. You can choose to sort by domain quality to even make it easier for you to choose which domain you should obtain. You can also modify the search settings and get even more specific with your search by checking or unchecking which web 2.0 or blogging platforms you would like DHG to search from. This will give you the option to strictly search exclusively from specific platforms you want. Same as the domain auction hunter, you can easily load and save your results for future purposes. You can also save and load your filter settings. This tool is exclusive to the professional plan. This handy tool basically lets you search for expired domains easily. You can choose to search for niche specific domains by entering the niche as a keyword or be more general. This tool also lets you crawl any website and find any aged domains backlinking your competitor or a high authority site. Same as the domain auction hunter and the web 2.0 hunter this tool comes with complete metrics and analytics including domain age, PR, Social Shares, Moz stats, Majestic stats, and status checks if the domain has been indexed in the top search engines. You can also save your list and your filter settings for future use. All the best webmasters know that buying domains which have already made names for themselves save you years of building from scratch. This is why thousands of webmasters go to auctions and buy premium domains worth thousands of dollars. Most of them do not know that there are hundreds of thousands of expired aged domains which you can register and reuse which can offer the same advantages. Using the Expired Domain Hunter tool from BHG, you can easily uncover aged domains which cost you the same price as that of registration. This tool offers you four types of ways to find expired domains. You can choose to search using a niche specific keyword with the hunt expired domains from keywords tab or do some website crawling from the hunt expired domains from website tab. You also have the option to import and export your own list of domains so DHG can check which ones are available. When you are subscribed to the professional plan you also have additional features that can make things even easier for you to utilize your aged domain. These features include DomDetailer, DomRecovery and Easy Expired Domains. DomDetailer is basically software which gets statistics from Majestic and Moz. 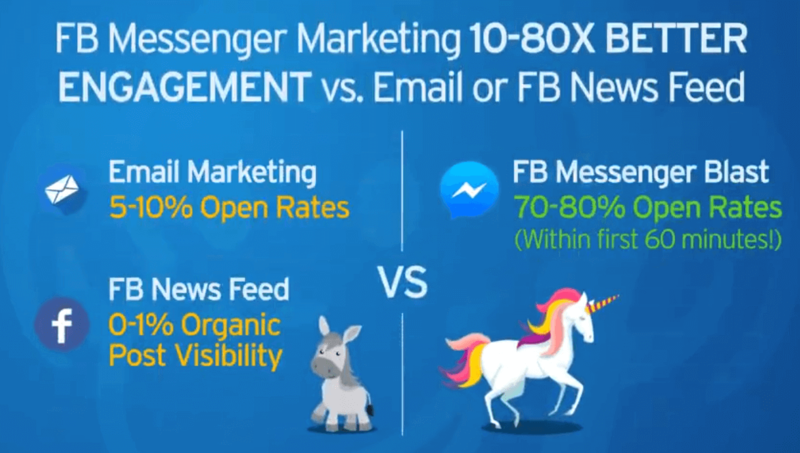 These statistics include link count, CF, TF, referral domains, DA, PA, rank, and trust rating. Individually this tool is valued separately at $39 but comes inclusive for free with the pro plan. Professional plan subscribers get 50k API calls per month for Majestic and Moz without the need to register or hold accounts for either. This tool allows you to recover how the expired domain looked like before it went offline. It saves everything from whole content to themes and styles. This will help you speed up the process of building your private blog network. Instead of spending hours re-constructing the website you can use the internet archive’s Wayback machine and resurrect how the domain you have bought looked like before. Think of it as if you are Dr. Frankenstein and you are reanimating the Frankenstein monster. This tool is inclusive of the professional plan. Basically, with this scraping tool, you get thousands of expired domains in a few seconds simply by typing in a niche keyword. This tool is valued at $47 per month but comes inclusively free for DHG pro plan subscribers. 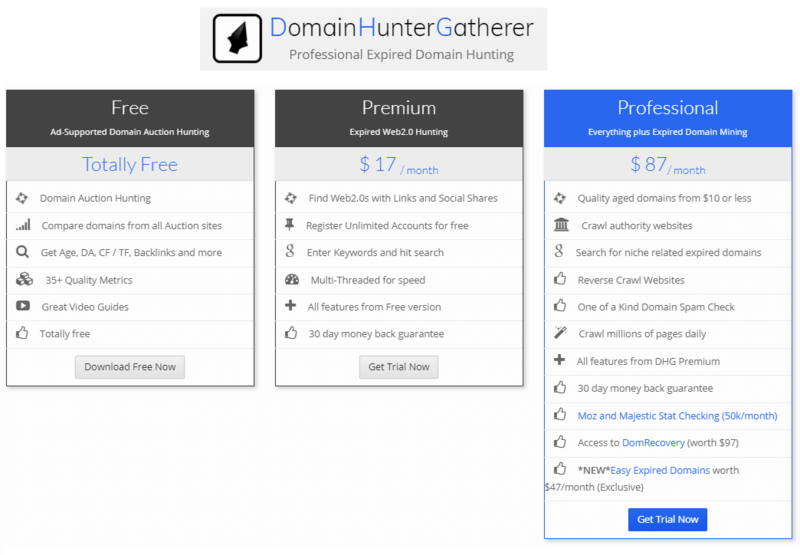 Domain Hunter Gatherer currently has three plans which you can avail. These are the free plan, premium and professional. The premium plan has all the features of the free version with an added extra kick of more additional features. The professional plan has all the features of both the free and premium plan and way more! Here is a more detailed explanation of what you will be getting from each plan. The free plan offers you ad-supported domain auction hunting features which you can use to find domains up for grabs. It is supported by ads so please expect advertisements to pop-up every now and then. It also lets you compare domains from all the auction sites and provides a decent metric system. This plan is recommended only to those who would like to test the software and get a feel of what it is capable of. The professional plan grants you all the features of the free and premium plan along with exclusive and high end features such as giving you the option to find expired domains from a variety of methods like hunting from keywords, from a website and reverse hunting domains. It also features Moz and majestic stats checking and access to the domain recovery feature. If you are looking to build an empire with multiple authority sites and a powerful private blog network then this is the plan for you! Overall, there is no doubt that Domain Hunter Gatherer is one of the top choices if you want to streamline the entire “Aged” domain hunting process. It has all the features that anyone would ideally want to get their hands on when hunting for the best possible aged and expired domains that they would like to acquire. They have 24/7 support and they have been around for quite some time now. The sleek and optimistic user interface is really easy to get accustomed to.The multiple metrics and analytics make the entire process easier to analyze as you compare domains from one dashboard. No matter what purpose you have to use aged domains for, you can never ignore the power of reusing them. With the help of Domain Hunter Gatherer, the whole process of acquiring the best-aged domains to fit your necessities just got a lot easier.